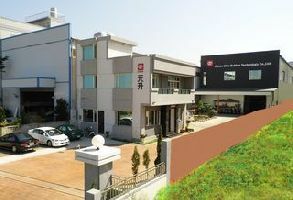 ﻿﻿ The Company Profile of Chien Chie Rubber Technology Co., Ltd.
We are specialized in designing and producing rubber products, especially profassional design which match to customers needs. Our company`s rubber products are fitting for Automobile, electric components, diving items, machine packing, and sports goods, etc. Besides, our rubber product's material are NBR, HNBR, EPDM, CR, NR, SNBR, SILICONE, VITON, IIR and so on. industrial rubber products, o rings, servo pistons, bushings, custom molded rubber products, TCCR rubbers, rubber diaphragms, rubber belts and plugs, anti slide balls, rubber spacers, rubber loops, shock absorbers, sealing pads, grasp handles, footpads, dust sheets, servo pistons, oil seals, seat seals, rubber parts, rubber gaskets, rubber washers, rubber molded parts, medical equipment parts, rubber parts, rubber seals, extruded rubber products, rubber molds, shockproof rubbers, suction cups, formed hose, and so forth. Company : Chien Chie Rubber Technology Co., Ltd.